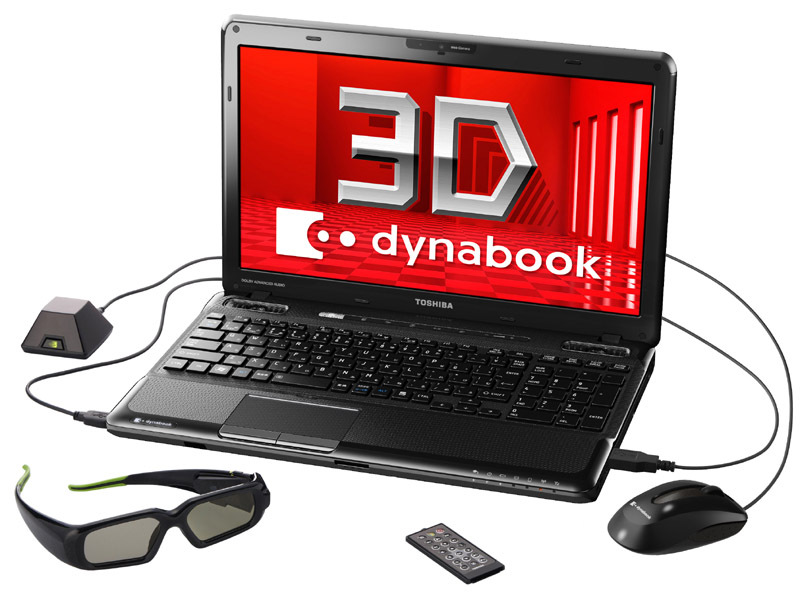 Toshiba has announced its first 3D-capable laptop and it is called Toshiba Dynabook TX/98MBL for the Japanese market and Toshiba Satellite A665 in Europe (and maybe in other regions). The laptop is equipped with a 120Hz LCD panel and uses Nvidia’s 3D Vision active shutter glasses to provide stereoscopic 3D capabilities. Have in mind that Toshiba Satellite A665 will come in two versions, one without 3D capabilities and one with, so you have to be careful should you decide to go for it in order not to get the non-3D instead of the 3D-capable model. 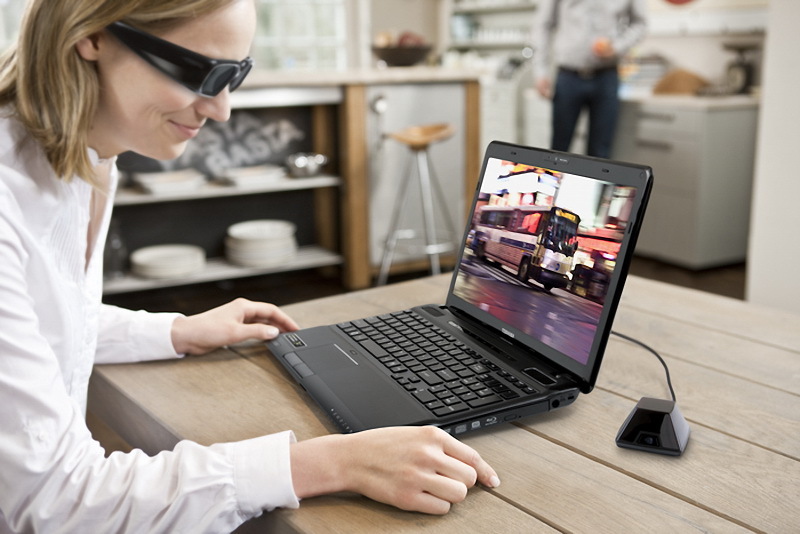 Both models should be available on the market during the third quarter of 2010 throughout Europe and Middle East, so Asus G51J/G51Jx 3D is still the only available mobile solution for 3D Vision for the moment that is currently on the market and it will be for some more time. Toshiba Satellite A665 is using 15.6″ 120Hz LCD panel with LED backlight, resolution of 1366×768 pixels and 200 cd/m2 brightness which should be OK for a mobile solution. Especially having in mind that the laptop will be based on a NVIDIA GeForce GTS 350M GPU with 96 stream processors (CUDA cores) and 128-bit memory bus. The processor will be mobile Quad Core Intel Core i7, probably the i7-740QM (mentioned in the Japanese market model) which operates on 1.73GHz by default, but when using turbo boost can go up to 2.93GHz. So it should not be very different from what Asus is currently offering with their G51J 3D gaming laptops in terms of performance, and we can only hope to get better quality from Toshiba – brighter display, higher viewing angles and less ghosting. – ENERGY STAR 5.0 qualified. Nvidia Announced GeForce GTX 480M, is it Soon Coming to 3D Laptops? 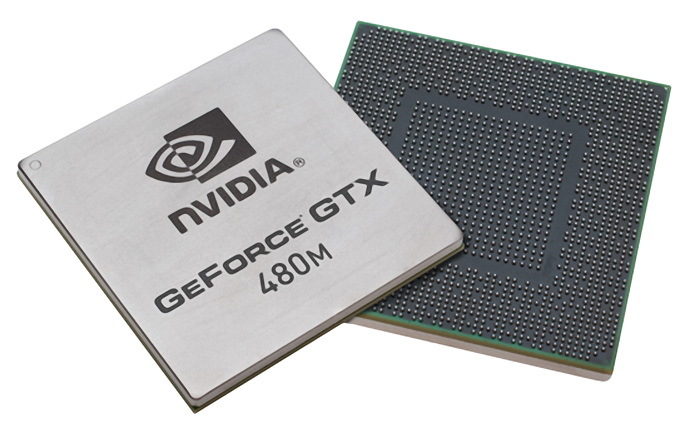 Today Nvidia introduced the new GeForce GTX 480M GPU for Notebooks based on the new Fermi architecture that was first introduced into the desktop cards – GTX 470 and GTX 480. This new GPU comes with 352 CUDA cores (stream processors) that should be able to provide quite high performance for a laptop, so it is no wonder that Nvidia calls this “World’s Fastest Notebook GPU”. Of course the new GTX 480M GPU will offer DirectX 11 support and high tessellation performance, supports PhysX and CUDA, along with 3D Vision support of course. And now the big question is are we soon going to see a 3D-capable laptop that uses this new GeForce GTX 480M GPU in action. So far we only have the Asus G51J-3D with GTX260M and the Asus G51Jx-3D with 360M GPUs that are equipped with 120Hz panels and come with 3D Vision active shutter glasses for mobile stereo 3D gaming. 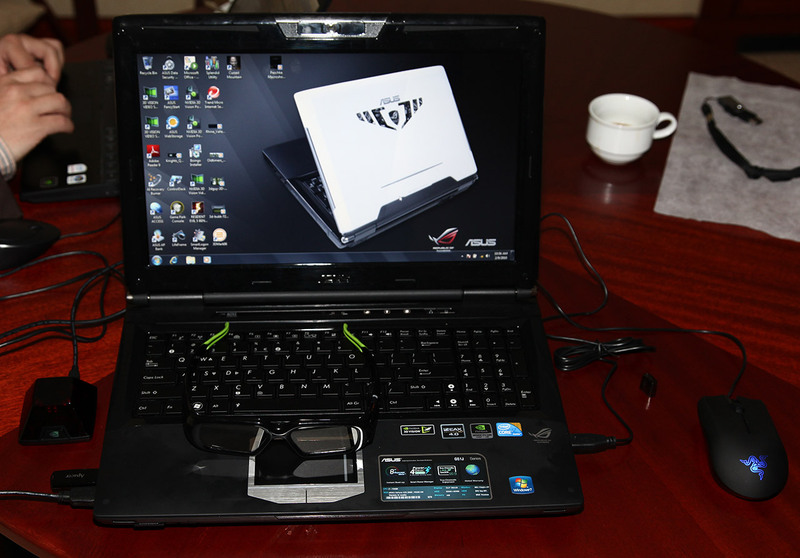 The Asus G51J-3D laptop I tested was the one with Core i7-720M processor (quad-core 1.6GHz that goes up to 2.8GHz with TurboBoost) along with an Nvidia GeForce GTX260M (112 stream processors) video card with 1GB of DDR3 Video Memory. The display is 15.6-inch, 16:9 wide aspect ratio, with LED backlight and with resolution of 1366×768 (HD-ready) and not Full HD. I’m telling you this because it seems that Asus will be having a refresh of the model very soon, that will be featuring GeForce 360M video card instead of the currently available GTX 260M. And if you are ready to start complaining that the screen is not with Full HD resolution you should hold it for a bit, at least until you see some performance results, because 1080p resolution in stereo 3D still seems to be a bit extreme for a single GPU mobile computer. 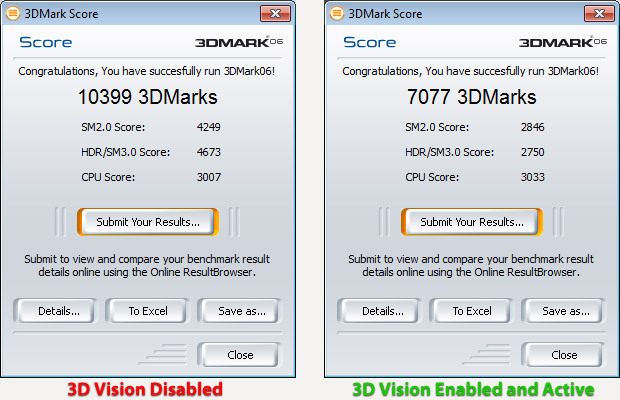 So have in mind that when you take a look at the performance results below, measured with 3D Vision disabled and then the application/game running with it enabled and with stereo 3D mode activated. Avatar the game is the most recent game to feature native stereoscopic 3D support, including, but not limited to 3D Vision so there is no chance in missing to do a test with it on the Asus 3D laptop. The game configured to run at ultra quality, but without any Anti-Aliasing turned on has managed to get around 41 fps in plain 3D mode with the minimum framerate not dropping below 30 per second, so the game actually runs very well. When you activate stereo 3D mode with the 3D Vision with the same maximum quality settings things don’t look so bright anymore, the average framerate drops to about 16 fps and it varies between 11 and 32 frames per second. This means that you need to sacrifice some of the details in order to reach comfortable framerate when playing the game in stereo 3D mode, so going to High details and maybe lowering some of the effects should be Ok for you. Batman: Arkham Asylum – yet another quite nice and popular game that also plays very well in stereo 3D mode. This game also takes advantage of Nvidia’s PhysX technology which can be quite demanding at times, especially if you want to max everything out in terms of graphic detail and effects. Again with the game set to Very High with all effects enabled and PhysX set to Normal level and no Anti-Aliasing turned on he game did pretty good in plain 3D mode with an average framerate of about 45 frames per second. Enabling the 3D Vision and playing the game in stereo 3D mode however produced only about 27 fps average with the minimum framerate going to 14 frames per second, so in order to make things comfortable you should probably sacrifice the PhysX effects disabling them and leaving the graphics to high. Bioshock 2 supposedly a stereo 3D-ready title, but we are still waiting for a patch to fix some of the basic issues it has like a 2D crosshair, may seem like a challenge for this laptop, but it actually turned out not to be. Setting the game to High detail with all of the effects enabled and again no AA resulted in a comfortable and playable framerate of about 40 fps in plain 3D and playing in stereo 3D mode with the 3D Vision on resulted in just only 4 frames drop in the average framerate to 36 fps. This result is pretty interesting as enabling the stereo 3D mode did not decrease the performance so much, just 10%, meaning that the game is probably well designed with S3D in mind, but it was not entirely implemented as it should. Dark Void, a yet another 3D Vision-ready title that looks and plays great in stereo 3D mode and being able to take advantage of PhysX-capable hardware. With highest detail levels set and all the effects enabled and with PhysX set to Medium Dark Void performed very well in plain 3D mode with an average framerate of about 65 fps. The drop in framerate with the same settings with 3D Vision active resulted in average of 35 fps, but with a moments when the minimum framerate drops to about 5 frames per second with the reason for that being the PhysX effects. So again on the Asus G51J 3D you’ll need to sacrifice PhysX effects by disabling them in order to get the game comfortably playable in stereo 3D mode just like in the case with Batman: AA. Far Cry 2 is the next in line for testing on the Asus G51J. This FPS game also plays nice in stereo 3D mode and is not that demanding even on high details while at the same time provides very realistic looking virtual world. Set to Ultra High in the settings and with all the additional effects enabled Far Cry 2 has managed to squeeze an average of 50 frames per second framerate and drops to about 30 fps average when you enabled the stereo 3D mode. So you’ll have to go for High or Very High details in order to make the S3D playing experience more comfortable which is still Ok. Need for Speed: SHIFT is a popular racing game that can look and feel really great when played with in-cockpit camera and not with the default outside view of the car, although even then it is Ok in S3D, but the experience is not as realistic as it can be. This game also takes advantage of PhysX, but it does the calculations on the CPU and not on the GPU, even if you have a compatible graphics card that can do that. This can be considered either a good thing or not so good, but in the case of Asus G51J 3D that has a fast quad-core CPU it is not such a problem as it can easily handle the additional load. With the game configured to High detail level and all effects enabled, no AA as with all the other tested games, the result was an average framerate of 64 fps in plain 3D mode with the minimum not dropping below 50 frames per second. With stereo 3D mode active the average framerate drops to about 35 frames per second with the minimum not going below 20 fps, so a little lowering of the effects or detail levels is a good idea for comfortable S3D playing experience. Tomb Raider: Underworld is the last game I tested with on the Asus G51J 3D laptop, a game that has been released at the end of 2008, but is one of the best looking titles in stereo 3D mode and can be quite demanding at times. With detail level set to high and all effects enabled, no Anti-Aliasing of course, the game managed to work out about 56 fps average in plain 3D mode and just about an average of 30 fps in stereoscopic 3D mode. So a little sacrifice in terms of effects or detail level may be needed for a comfortable playing in S3D mode again, something which I should say that kind of surprised me, but then again these are the real results.